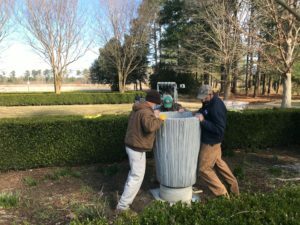 Eighteen concrete pots now line Crape Myrtle Allee at Moore Farms Botanical Garden, soon to be filled with a dazzling display of plants. 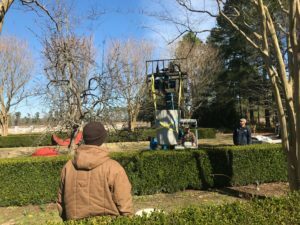 Maintenance crews installed them in late January, intermittent between the flanking rows of mature crape myrtles. Each pot weighs 800 pounds and is 42 inches tall and 18 inches in diameter.